Ada pertanyaan untuk Clock Inn Colombo? Clock Inn Colombo, terletak di Colpetty Colombo adalah pilihan yang populer bagi para wisatawan. Terletak hanya dari pusat kota, para tamu berada di tempat strategis untuk menikmati obyek wisata dan aktivitas di kota ini. Hotel modern ini terletak di sekitar obyek wisata populer kota ini seperti Kedutaan Besar Jerman, Swarnamahal Jewelers, Ranworth Jewellers. Dengan menawarkan pelayanan superior dan sejumlah fasilitas kepada para tamu hotel, Clock Inn Colombo berkomitmen untuk memastikan penginapan Anda senyaman mungkin. Hotel ini menyediakan akses ke sejumlah pelayanan, termasuk WiFi gratis di semua kamar, resepsionis 24 jam, check-in/check-out cepat, penyimpanan barang, Wi-fi di tempat umum. Clock Inn Colombo memiliki 15 kamar tidur yang semuanya dirancang dengan citarasa tinggi. Banyak diantaranya memberikan kenyamanan seperti televisi layar datar, linen, cermin, akses internet - WiFi, akses internet WiFi (gratis). Disamping itu, hotel memiliki berbagai pilihan fasilitas rekreasi yang menjamin Anda melakukan bermacam hal selama menginap. Fasilitas super dan lokasi yang istimewa menjadikan Clock Inn Colombo tempat yang sempurna untuk menikmati penginapan Anda selama di Colombo. Liked this place. The dorm room was very basic and had no privacy curtains on the bed frame but had AC & lockers and the showers were good. Breakfast was nice and the staff were super friendly and helped me out with a few things. WiFi worked well. 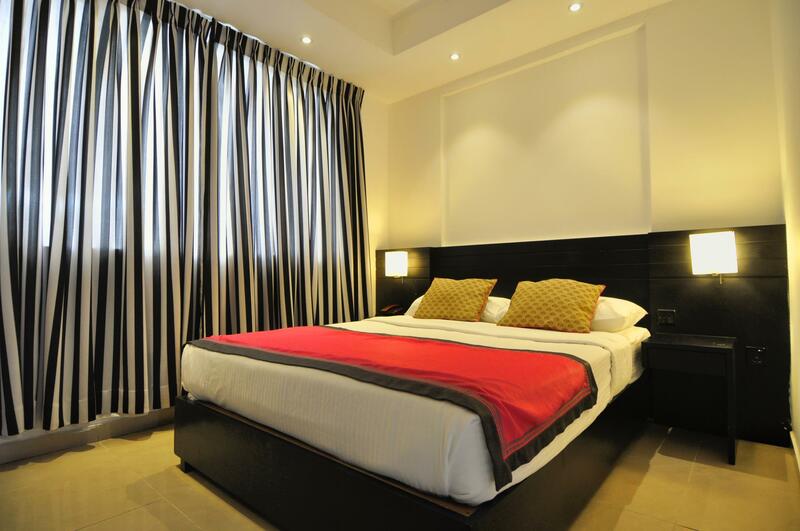 Would return if looking for budget accommodation again in Colombo. Handy location next to Green Cabin for snacks and all the other places on Galle Road. Bubblement bubble tea shop down a nearby side road too. Oh yeah. And the best UV painted staircase I’ve eve seen at night - definitely prepares you for the land of zzz! Had a comfortable stay at the Clock Inn and the staff have bee extra helpful in regards to my late arrival and dealing with my lost luggage. The only issue was trying to find somewhere to eat late evening, wasn't so comfortable wandering too far as a solo female. The Clock Inn has good beds in small simple rooms, the only problem we found was that our room smelled of humidity and also slightly of mold. We found a hotel for slightly more money that was much better, so considering the similar price, one could say that this room at the Clock Inn was overpriced. The staff was very friendly however and our stay was not unpleasant. It is a good place to stay for a short layover, due to the good location and informed staff. Lovely little gem of a place this. We booked 1 night but ended up staying another. Loved the communal breakfast area and the breakfast included was good. Bed was very comfortable and unit was spotless. we'd stay here again if we return to Colombo. Everything is fine, staff is friendly, simple breakfast but serve the purpose. Suggest to add hanger and shampoo rack in toilet, no place to put shampoo and hang towel/cloth. 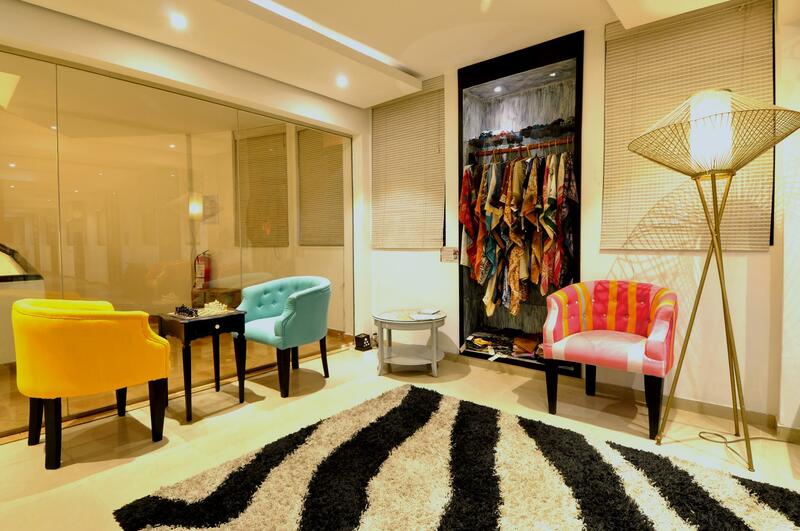 This place is enjoyable by the friendliness of the staff as well for the facilities. I had great time and was about to extend my stay to enjoy it longer. Next time I end up in Colombo, I will go there for sure. I recommend. After going through several hotels online we chose Clock Inn for our short stay in Colombo. Location of this hotel is excellent. It’s very easy get transportation from here. Employees of this hotel are very friendly. We took suggestion for our day out plan in Colombo. Room was very basic. There was no wow factor in the room. However everything was so clean and well maintained. As this is a budget hotel we should not expect more. 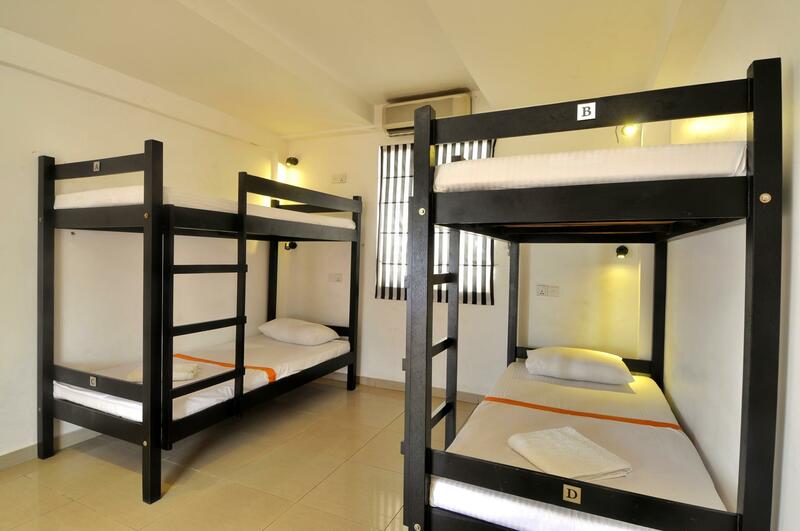 Despite being termed as budget hotel there room rate is not competitive with other budget hotel. The charge little bit high price in the budget hotel segment. The location is really good that pretty much everything is about 5 to 10 minutes away. 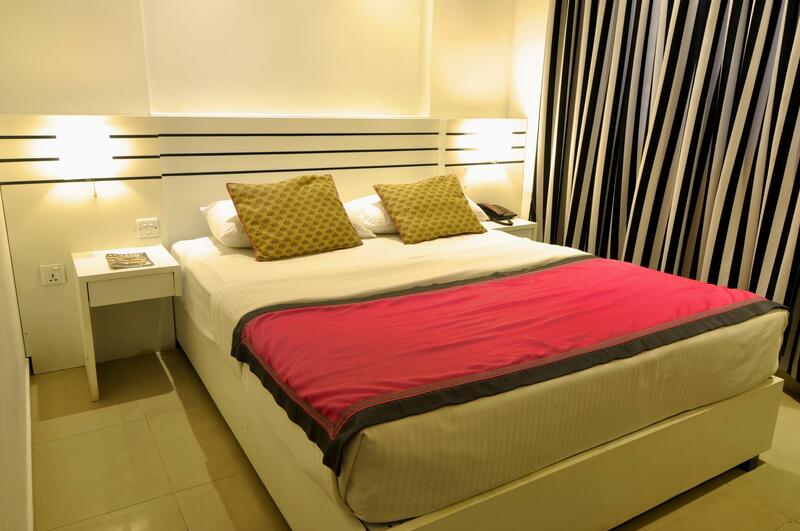 Nestled in the heart of Colombo, in Colombo 3 area in Colpetty, Clock Inn is a mere one hour taxi ride from Bandaranaike International Airport (Colombo Airport). Taxi is about 2,600 Rupees (or about USD17) for one - way. It is a 4 seater air conditioned car so imagine if there are four of you, you can share the bill. Taxis are readily available just outside of arrival hall. Check - in was fast. You will be asked to fill out a check - in form and they will hand in the key card which you will use to enter where the dorms are. 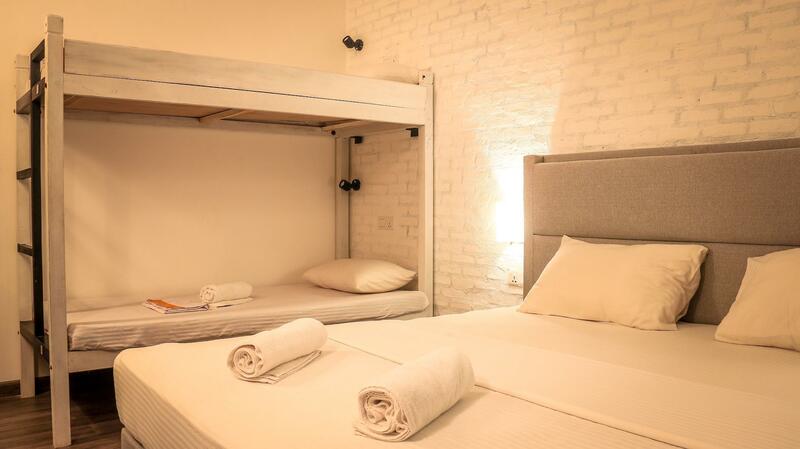 You will then be given a locker key where inside the locker are the pillow, bed sheet as well as towel (yes, free) are kept. You can then use the locker for your valuables. Breakfast is good and it consists of toast with butter and jam (those individually packed and not the ones you shared with others.. nice touch! ), two types of tropical fruits, two types of cereals with milk, your choice of eggs (sunny side up or omelette) and a juice. It was overall, good... People there are nice. The staff are nice and polite. The room was nice, adequate in size. The bed was ok. The AC was cold. Wifi is fast. This was my first time at Clock Inn and I was most impressed not only with the friendly staff but also the lovely lounge/breakfast area. The private room I had was not so large but clean and comfortable. I would definitely return here or the Clock Inn Dehiwala... both lovely places. Stayed in a double room. It was clean and comfortable. Air-con working fine, wifi connection strong. Staff very helpfull. Breakfast should be improved but breakfasts are typically not of good value in Sri Lankan hotels and hostels. Location was good. Not in the centre but some 5km away from the Fort. There was a local bus stop just in front of Clock Inn and you are in the Fort area in about 15 minutes. Around the hotel there are many shops, bars and restaurants and the sea is just two block away. Very nice stay overall. We had a great room with adouble bed and bunkbeds. The top one didnt have a bar across but otherwise the room was perfect for us. Lovely hot water in the shower, cool place with glass bottles of water with free refill-very eco friendly. cool messages on the staff tops and very kind staff. My daughter was sick after just arriving and threw up allover the duvet. The staff helped me and checked with their boss and there was no extra charge for the mess. Thank you. At first we were not very confortable with the room we have check in however we ask the guys its not very clean as we did not accpeted like that, then immidiately change our room much clean and much nice room. That all and other things are perfect here. Staffs are very friendly and helpful. Especially pradheeb who is all the time best staff here. Must meet him for anything. Thank you all. We will recommend to our friends this hotel. 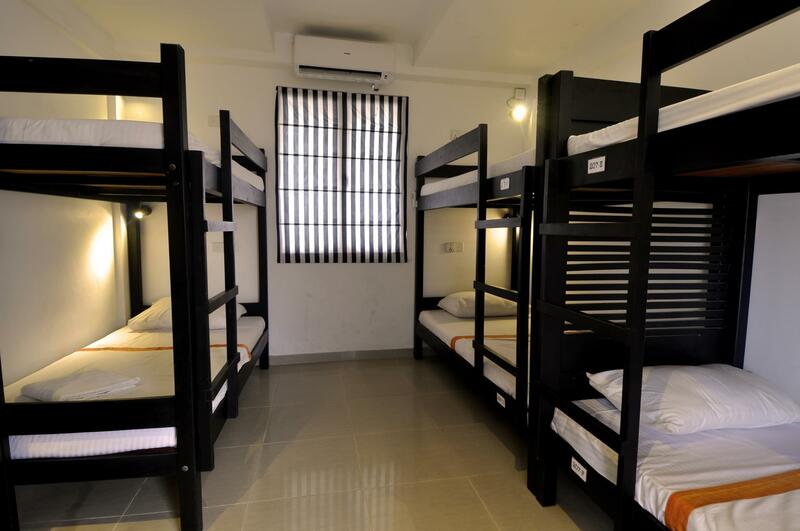 Pros great location, good facilities, helpful staff and easy to get to Colombo fort railway station. Cons room needed a deep clean and the room smelled of damp. Overall it was a good stay.